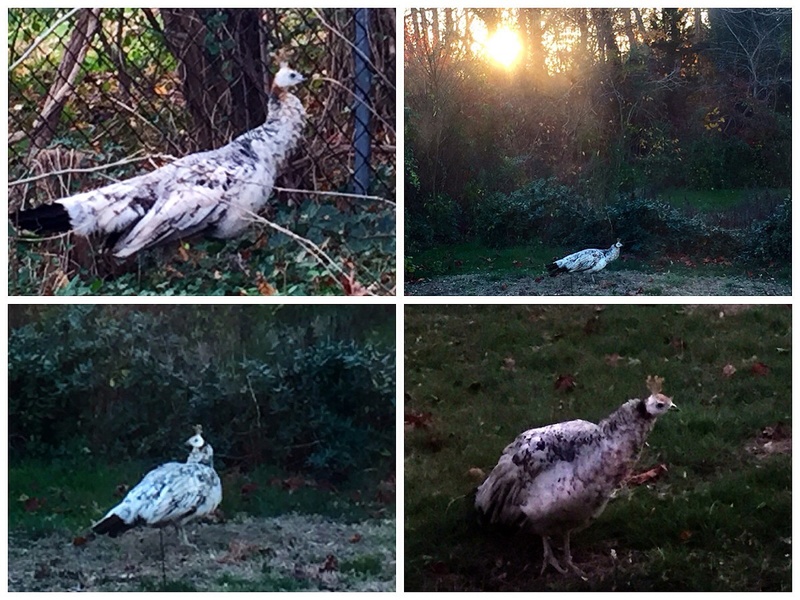 Recently, I made a new friend — one who has appeared in the backyard, has two legs, a beak, and wings. I won’t ask you to guess, but if you thought wild turkey you’re really good. Let’s call him or her Taylor the Turkey. I’ve had a blast watching this bird meander around the yard, look at me quizzically, and make its home in one of the trees when it’s ready to call it a night. I’ve gone with a gender neutral name because I vacillate daily between whether it is male or female. Either way, I think Taylor has made him-or-herself quite at home in the yard and I don’t think he or she will be house hunting anytime soon. Whether you’re cooking this Thanksgiving, eating at your favorite restaurant, or you are living outside of the United States, we can all think of things to be grateful for. Let’s take this one day and celebrate life’s blessings, simple pleasures, and things we normally take for granted with the ones we love. Thanks, Cara! I hope you have a very happy Thanksgiving, too. Have the most wonderful thanksgiving. I appreciate your continued support. Thank you! Thanks, Ashley! I hope you have a very happy Thanksgiving as well. Happy Thanksgiving! Such a great list! Love it! Thanks, Danielle! I hope you have a very happy Thanksgiving as well and thanks for reading and commenting. Thanks, Summer! I hope you had a very happy Thanksgiving, as well! A very Happy Thanksgiving Day to you, too! What a thoughtful and lovely litany of things to be thankful for. Thanks, Vlad. Same to you!